The Gran Via is Spain’s most famous avenue; it’s as if London’s Oxford Street & New York’s Broadway collided, creating the place for flagship retail; cinema; theatre & West End Broadway shows – all in the heart of the Iberian Peninsula! writes Andrew Forbes. With so much going you’ll be thankful for a calm, stylish oasis for dining. 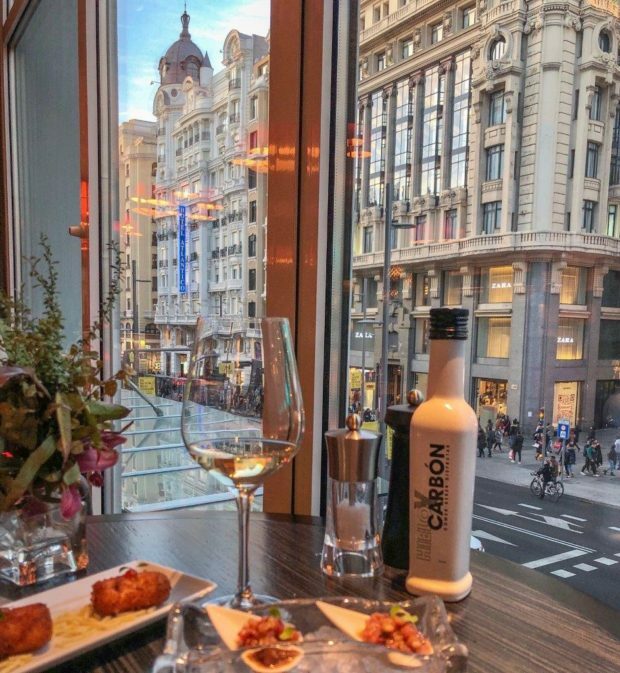 Thankfully there’s ‘Hielo y Carbon’, a signature restaurant in the sparkling new Hyatt Centric Gran Via Madrid hotel. This flagship property certainly has the wow factor. The hotel is a landmark, which can so often present challenges with a change of use. Yet here the contemporary hotel design is exceptional, giving this historical building an extravagant new life. I love the bold design gestures like the stunning architectural lighting in the central atrium (adorned with giant Spanish ‘abanico’ fans); to the ingenious selfie studio in the lobby. Each space has been designed in the smallest detail by creative director Henry Chebaane and his team at his London Blue Sky Hospitality studio. ‘Hielo y Carbón’’ translates as ice and charcoal. 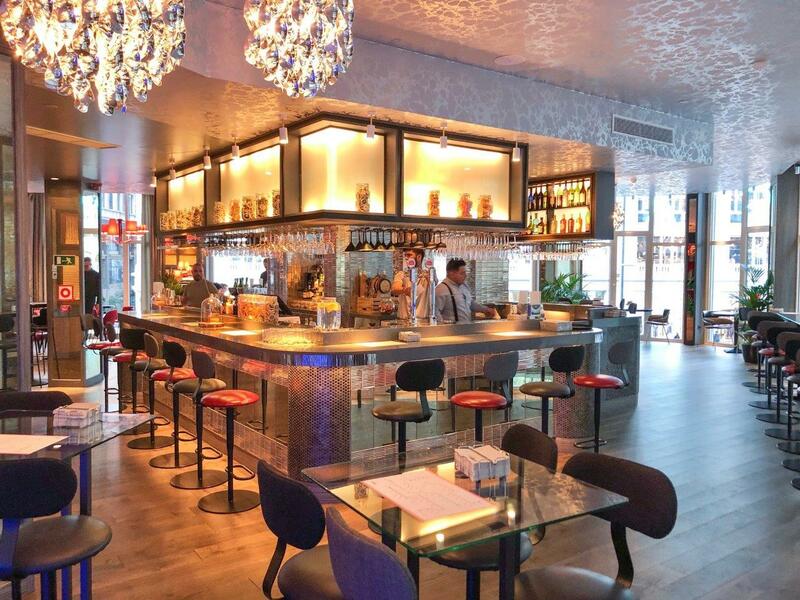 This gives a tantalising indication of the menu – tempting Spanish dishes from the oven & grill; and market-fresh Peruvian-inspired dishes like ceviche served on ice. Blue Sky Hospitality’s design of the restaurant space sets the scene; with the show kitchen evocatively framed with dark textures; whilst the Peruvian crudo bar glistens in silver & glass. Each dish, however simple, is a composition of Iberian and Peruvian influences. Take the grilled octopus, a Spanish classic – here served with chimichurri sauce from south America. I can also heartily recommend the croquettes – this is classic Spanish comfort food. I tried the special of the day, blue cheese croquettes with a spicy Peruvian sauce. 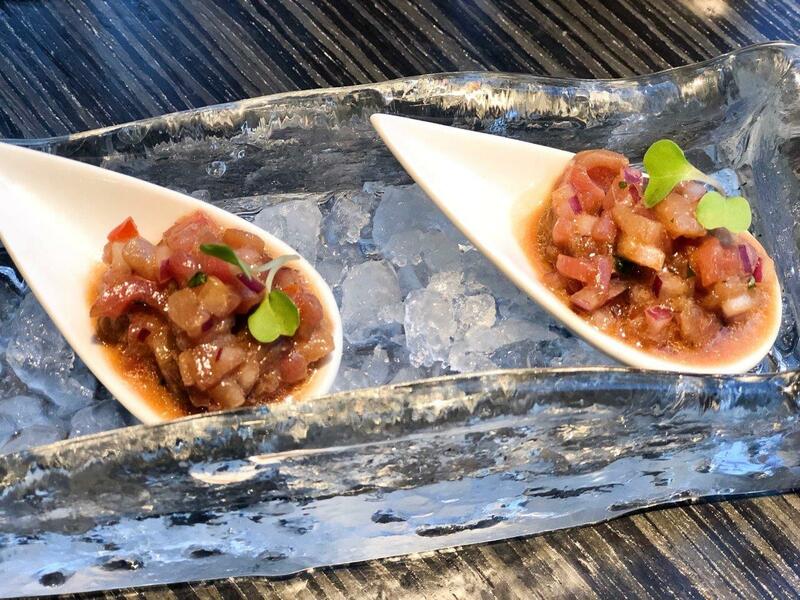 From the ice part of the menu, including the crudo bar there are many creative choices from salads like the hearts of palm and artichoke salad with saffron; or the classic ceviche de Rosa Merino. I can recommend the Tuna Nikkei – fabulous raw tuna prepared in contemporary Peruvian/Japanese style. 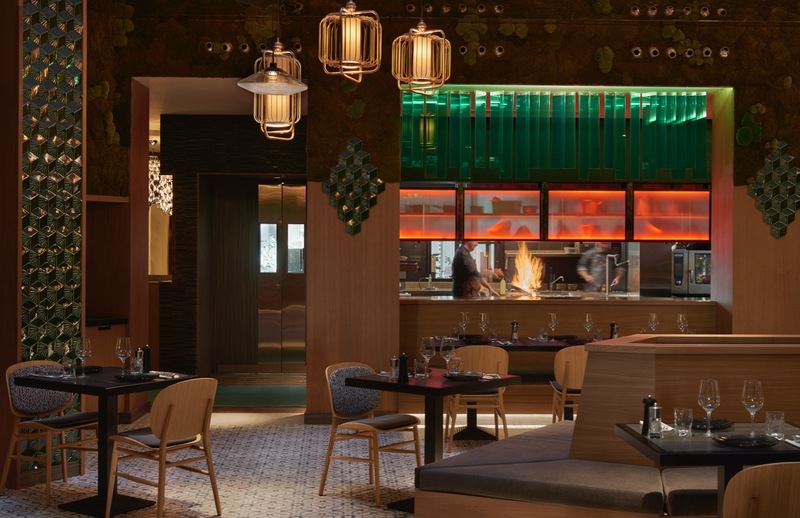 Elegance and sophistication are the hallmarks of this restaurant, but in-line with the values and style of Hyatt’s new Centric brand, the ambience is relaxed and informal. This dynamic new generation of boutique hotels is the kind of place where afterwork drinks downstairs in the cool lobby bar might lead to a sociable dinner of sharing plates in Hielo & Carbon. Restaurant Manager Sandra Jiménez will surprise you with excellent food and wine suggestions. Enjoy a well curated list – many available by the glass. 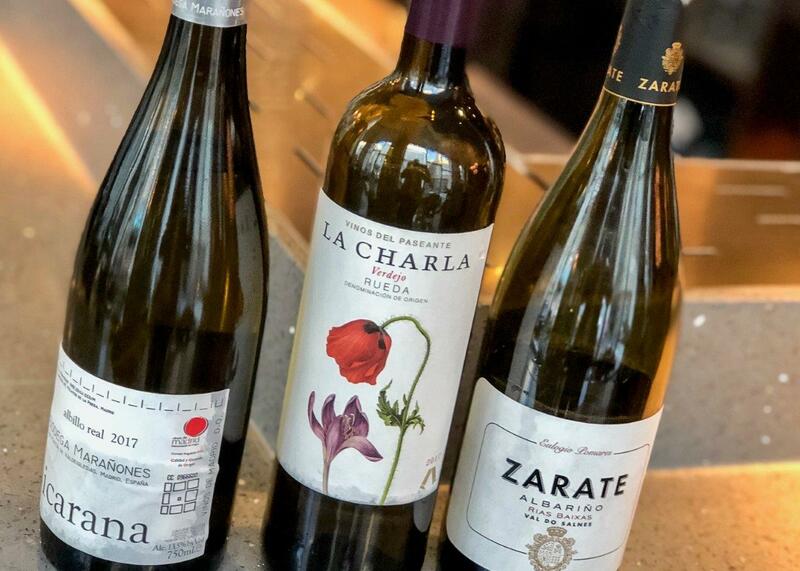 You could try familiar wines like a fruity, summery Rueda (from north central Spain); a crisp Albariño from north west Spain (perfect with seafood); or something that might be new for you, like a Madrid wine from Bodegas Marañones. I really enjoyed their ‘Picarana’, a young, flavoursome wine that works well with the flavours from the ‘Hielo y Carbon’ menu. 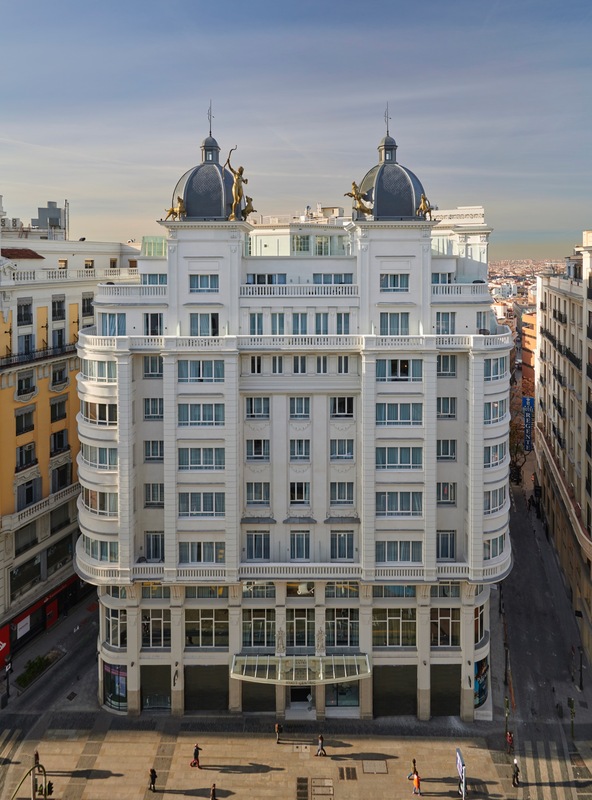 The Hyatt Centric Gran Via Madrid has 159 rooms and suites and is within a striking art deco building right on Madrid’s iconic Gran Via. This beautiful building is full of quirky, smart, creative design that references its past and surroundings, as well as clearly appealing to it target market of younger, urban, style-conscious travellers that want a ‘centric’ location; at the heart of the action in a city – a launch pad into the metropolis. 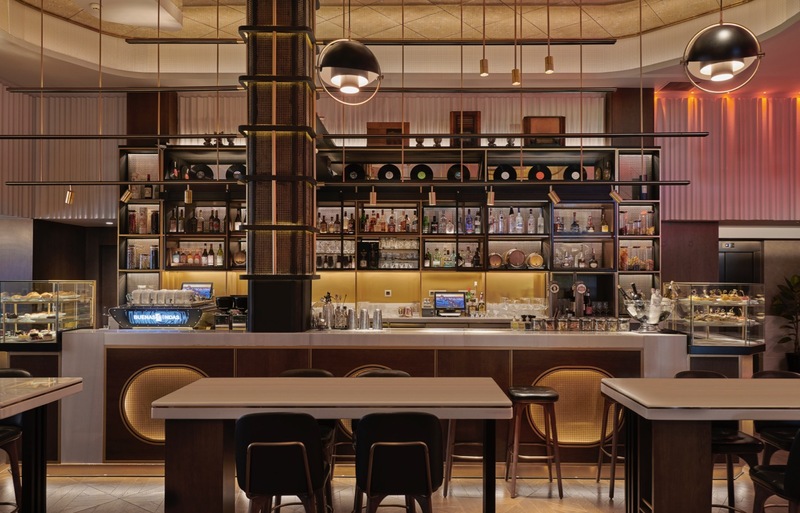 Music and radio are a strong design theme, especially downstairs in the Ondas Vermutería Lobby Bar – echoing the recording studios of Cadena Ser that used to be housed in the grand building opposite. 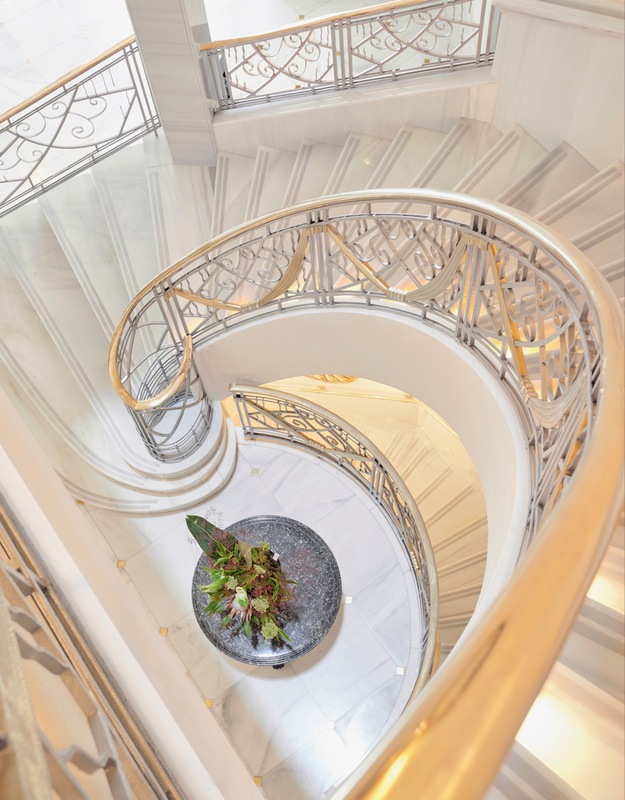 For more insights, take a look at our Hotel Spotlight in the Hyatt Centric Gran Via Madrid.